The hoodie comes from the Anglo-Saxon word “höd” although the term “hoodie” itself only came to use in the 1990s. The hooded sweatshirt traces its origins to the 12th Century Medieval Europe. The first hooded garments were the cowls or tunics with hoods, which were worn by monks, and the chaperons or capes with hoods, which were worn by outdoor workers. The American sports-drama movie “Rocky” in 1976 gave the hoodie an iconic status. Since then, the hoodie found its place on the catwalk, at universities, and even as a popular subculture. Baja hoodies started around 50 years ago and came from Mexico, where they were always made out of very soft materials. At first, they were shaped like basic pull-overs and ponchos, but nowadays they come in hoodie styles as well. In fact, many Baja hoodies come sleeveless, which tends to make the wearer look more attractive. If you enjoy the hippie lifestyle, you can wear a Baja hoodie with glasses, a man bun, and traveling pants that are made out of loose-fitting cotton. Of course, even if you’re not going for a specific look, the Baja hoodie is a great choice when it comes to jackets. One of the most unique characteristics of a Baja hoodie is the colorful designs they normally come in, including bright stripes of black, gold, green, and red, among others. They can be turquoise and black, purple and grey, and purple and black, and their unique and bold designs make them a favorite among a lot of people who wear hoodies. Black hoodies have to be a separate category because they are so unique and extremely popular. Black is a classic and timeless color, so there is little wonder that these types of hoodies are purchased so often. In addition to matching any clothing you choose to wear, they can also come with various designs on them to add to their overall look. Some of the most popular types of black hoodies are those with shapes and mechanical designs, designs of natural settings such as moons and suns, and even animals such as tigers or wolves. Black hoodies look great with darker pants and jeans, and their designs often include prints that look realistic, that is, they are more natural looking and pleasantly designed. Black hoodies also look good on anyone, because black is one of the basic colors that tend to make anyone look good, as well as thin, which is why it is so popular with women. Add to this the fact that the hoodies come in so many different attractive looks and designs and you’ll understand why their popularity is not likely to wane anytime soon. Designer hoodies are those made by the higher class and more expensive brands, and they are usually purchased either online or at retail stores that are known to carry high quality, but expensive items. They can be made by companies with fancy French names and they have distinct logos on them, and they are often made of extra thick or extra-soft materials as well. Designer hoodies can be made for men and women, and they come in a variety of colors and designs. Much like other types of hoodies, they come with many different features, so if you want extra-deep pockets or a specific design on your hoodie, you are all but guaranteed to get it. The sports luxe market has adopted these designer hoodies because it is made up of people who care what they look like and who often wish to present a certain image while out in public. Of course, anyone can wear one of these hoodies, because wearing one results in a sleek, suave look that everyone who sees you will appreciate. Fur hoodies can be any style, design, or color, but they are specifically made for the cold winter months and for people who want to stay warm while still looking attractive. The main difference, of course, is that these hoodies have a thick layer of high-quality fur around the hood itself. The fur covers both the hood and the neck region and normally has a special lining underneath that adds to the warmth it provides. In fact, many manufacturers include the fur on the inside of the jacket as well, providing a soft, luxurious feel to the wearer. Because they are made for winter, they are often water resistant on the outside and can even have a shiny look. Popular colors for fur hoodies include red, maroon, and purple, although they can also come in neutral colors such as beige and even black. Fur hoodies often have faux fur because real fur tends to be quite expensive and, therefore, unaffordable for a lot of people. They are beautiful hoodies, and once you purchase one you’ll understand why so many people love them. These are popular hoodies because you don’t have to be concerned about the hoodie staying closed like you sometimes do with a zippered hoodie. There are two basic styles of hoodies, and these are pull-over hoodies and zippered hoodies. The over-the-head hoodies are usually worn in more informal settings and, therefore, they don’t always have the designs that other types of hoodies do. They are comfortable and a little on the funky side, but they are also extremely comfortable because many of them are a little thicker and softer than other hoodies. Because they stay closed and tight against your body, you’ll stay extra warm in the winter time when you’re wearing a pull-over hoodie, and you’ll be extra comfortable as well. In addition to extra comfort, pull-over hoodies are great for sleeping in, especially if you choose one that is a size bigger than you need. They are informal yet have a luxurious feel, and on a cold winter’s night, there is nothing better than snuggling under the covers wearing one of these hoodies. 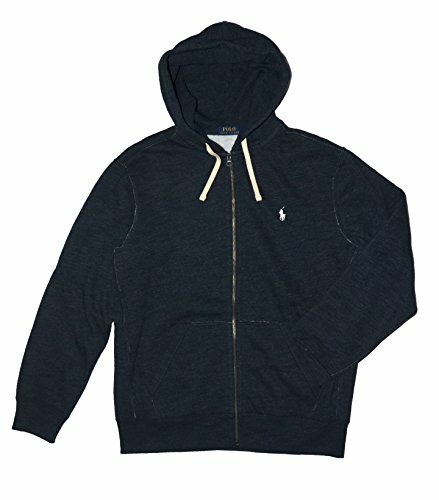 Polo hoodies are perfect for people who want both comfort and elegance because the polo emblem on the front of the hoodie lends some ambiance to its overall feel and look. If you’re headed out to the golf course or tennis court, polo hoodies are a great choice regarding what to wear, because they are casual, yet dressy at the same time. The logo on the hoodie is what does it because nothing calls attention or makes people notice you more than when you’re wearing the logo of a top-notch company. Although the term “polo shirt” technically includes the logo for a certain company, nowadays it has come to mean any type of company logo, so regardless of which brand you’re wearing, it can still be called a polo hoodie. Polo hoodies are also a lot of fun to wear, and they come in a variety of colors that accentuate the logo, which means people will always notice it. Whether you’re wearing it to show the world that you are fashion conscious or because you like the design or style of the hoodie, polo hoodies are a great article of clothing to own. These hoodies are specially made and designed for people who skate, and if you visit any nearby skating rink you’re likely to find dozens of people wearing this type of hoodie. Many skating hoodies are sleeveless, and if you like to ski, they are a great way to show up on the ski slopes in a comfortable yet stylish jacket. The hoodies are good at reducing wind drag and allow for the loose movements that are necessary when you’re a figure skater, so they are truly multifunctional types of hoodies. Whether you figure skate, snow ski, or skate with roller blades, having a hoodie that is warm but allows you to move around like you need to do in these sports is absolutely necessary, and the best part is, skate hoodies don’t normally cost a lot of money. This means you can even purchase more than one skate hoodie and wear a different one each time you head out to the rink or slopes. 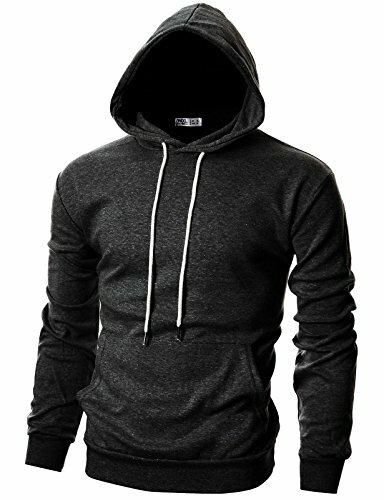 They also come in both pull-over and zippered styles, so when it comes to skate hoodies, you can find anything you like. These are the most popular types of hoodies because the hood part is not just for show – it actually fits on your head and covers your entire head area. Some hoodies have hoods that are small and contribute to the color theme or the design of the hoodie, but they do not fit over your head. A skull hoodie, however, does. If you want a mysterious or even a dark look, skull hoodies are the perfect type of jacket to purchase. If you want something unique, you can purchase a skull hoodie with a gothic print or a 3D print on it, especially if the hoodie is black in color. Of course, one of the biggest advantages of today’s hoodies is that they come in so many designs, special features, colors, and sizes that you can find anything you’re looking for when shopping for hoodies. 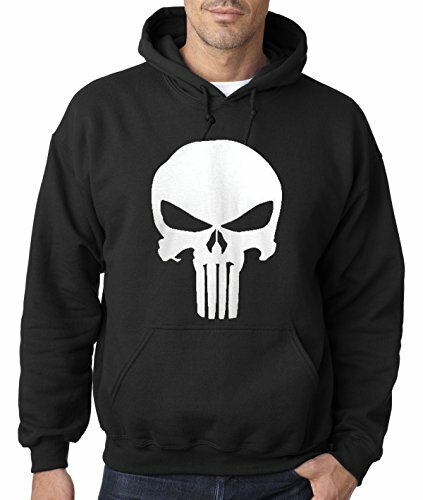 Another definition of “skull hoodies” is a hoodie with a skull design on it, and these are especially popular with teenagers and younger people. Again, there is no limit to the designs and colors available, so whether you want one in black-and-white only or a variety of bright, bold colors, you are certain to find it if you look in the right places. Slim-fit hoodies are made with less elastane, which gives them a slim look and tends to make people look like they weigh less than they do. The bottom of the hoodie and the bottom of the sleeves tend to have a little more grip than regular hoodies, and the zipper is a long one, which enables the hoodie to look even slimmer. The slim-fit hoodies essentially elongate the body and cling to it more than regular hoodies, giving your body a slimmer overall look. They can still be made out of regular materials, such as cotton or polyester, but since they can contain less elastane, the hoodie is a little clingier to your body and presents a different look than regular hoodies. They are not, however, uncomfortable, as long as you buy the right size. Slim-fit hoodies are still both attractive and comfortable to the wearer, but they contain certain characteristics that make them look slimmer while you’re wearing it. These hoodies allow you to zip your jacket up half way if you like, making it perfect for days that are cool and dry. In fact, because they are the zip-up type, these hoodies are perfect if it starts to get warm and you want your jacket to be open. They also make these hoodies in different styles of zippers, from thick to thin, light colored to brightly colored, and even zippers that are part of the design contained in the front of the jacket. The zippers are comfortable and easy to use, and they add just the right amount of style to the hoodie you’ve chosen. On a hoodie, drawstrings are often found at the neck and hood area, and they are there to make sure the hoodie fits you right and isn’t uncomfortable. During inclement weather, these drawstrings are particularly important, because they can make your hoodie tight enough to prevent rain and snow from creeping into the jacket and exposing you to the elements. Drawstrings can also be a fun feature, and they often add to the design that is printed on the front of the hoodie, allowing you to enjoy it more. The bottom of your hoodie and the bottom of your sleeves can be loose or tight, and which one you choose depends on your personal tastes and preferences. Many hoodies are made to be loose fitting, while others are made to fit you a little closer to the skin, and the sleeve and jacket bottoms give you the feeling you were hoping for. All hoodies are made to keep you warm, and all of them come in hundreds of colors and designs, so it is good to know that you have a choice when it comes to the overall comfort level of your hoodie. Everyone loves pockets, and hoodies can come with or without pockets. If you enjoy pockets in your hoodie, you also have a choice in the number of pockets available. Some people prefer two simple pockets located near the bottom of the jacket, which is just enough for you to stick your hands in those pockets when they get cold. Other people, however, like a lot of pockets on their hoodies, so many of these jackets are made with pockets on the upper area of the front part of the jacket, as well as pockets on the sleeves. These pockets are made to carry things such as your wallet, pens, and even a water bottle, so when it comes to your hoodie’s pockets, you have a lot of selections available to you. If you are exercising or attending an activity and wearing your hoodie after dark, it is good to choose one that has reflective tape on it so that it is easier for the cars to see you. The tape is usually found on both the front and back of the hoodie, and they are usually in bright neon-like colors that are sure to catch people’s attention. If you’re jogging at night, hoodies with reflective tape on them are a must, because they can keep you safe from start to finish. The designs on hoodies are more unique than ever, and this includes shiny, 3D-like images that make your imagination come alive. Regardless of what the design is, companies can make it in a shiny fabric that is almost metallic looking in nature. They can also put bling on your hoodie, usually consisting of rhinestones of various colors. When it comes to the designs found on today’s hoodies, the sky is the limit, because if you can think it up in your head, it is all but guaranteed that there is a company that has created that design. Whatever you’re looking for in a hoodie, you can easily find it. Every day, different designs come out that offer something unique and different, so you will never be disappointed in the selection that is available. You might prefer a basic grey hoodie that is solid colored or a bright-pink hoodie with sparkling designs on it, but whatever you’re looking for, you can find it in today’s selection. Whether the look you’re going for is basic and conservative or bright and bold, you can easily find a hoodie that can accommodate you. Because they are usually made out of cotton or a cotton-polyester blend, hoodies are extremely comfortable. In fact, this is often the reason people choose to purchase a hoodie because they want something that feels good against their skin. If you’re headed to a shopping mall or to run your errands, it is easy to slip on a comfortable hoodie before you leave, because regardless of the season, you are guaranteed to be comfortable. Comfort is their most common and most popular characteristic. Like few other clothing items, hoodies are made for both men and women, and they are often interchangeable. Women wear men’s hoodies all the time, and whether the jacket is made for a man or a woman, it is going to have the same great quality and style. Hoodies do have designs and colors that specific men and women tend to be interested in, but for the most part, hoodies are made for both sexes and therefore, you can always find something you’ll love. Hoodies are great for exercising, especially when it’s chilly outside because they keep you warm without letting you get too warm. They are the perfect accompaniment when you’re exercising, and because they fit loosely, but comfortably, they never restrict your movement so you can perform any type of exercise you like. In addition, the pockets are perfect because if you head out for a jog, you can keep your keys and maybe even a wallet there for more convenience. Even in the summer months, it can get cool or rainy, and hoodies are great because, with the exception of very cold weather, you can wear them all year long. Because the material they are made of is not too thick and not too thin, they are perfect for cool Fall or Spring days, cooler or rainy Summer days, and all but the coldest of days during the Winter months. They are versatile and practical, and because their color choices are so extensive, you can even wear dark colors during the colder temperatures and lighter colors when it’s warm. Hoodies also come in various fashionable and attractive designs, so whether you’re going out to a formal occasion or a very casual one, it is easy to take your hoodie along so that you are guaranteed to be both comfortable and attractive once you get there.